Studies show that your employees’ mood is affected by the wall colors surrounding them. We now know that some colors have positive consequences on our energy level, and even more when we are exposed to those colors each day, 40 hours a week. Do your employees work in gray or beige cubicles? Nothing is more depressing! It’s possible to increase by 15% your employees’ productivity level by simply painting their office walls with another color. So here is how the colors affect you without your noticing. Warm colors (shades of yellow, red, orange, and pink) increase our energy level. They stimulate us, they help us being more organized, awake and feel less tired. Thus, they help us work longer and more efficiently. Cold colors (shades of blue, green, purple and violet, and indigo) calm us down. They make us feel less stressed, take good decisions, and help us concentrate better. In other words, for those who have a stressful job that prevents them from thinking clearly, it may be a good idea to paint the walls in blue or purple. This way, the employees will feel less stressed, they will concentrate better, and will enjoy working so they won’t call in sick as much. It’s sometimes a good idea to paint the walls of your office with two different colors to create a balance. Thus, we could chose to paint a room with 2 different paint colors: 2 walls with a warm color, and the 2 other walls with a cold color. We could also choose to paint a focal wall: most of the times, we will use a warm color on one wall, and a cold color on the others. Another option is that each of your employees choose to personalize his cubicle. Thus, the ones who need more calm could add a green plant on their desk whereas their colleagues who need more stimulation could have a red mouse pad or poster. And of course, it always brings a smile to ones lips to see pictures of the loved ones hung on his office wall: please let your employees the liberty to do so! 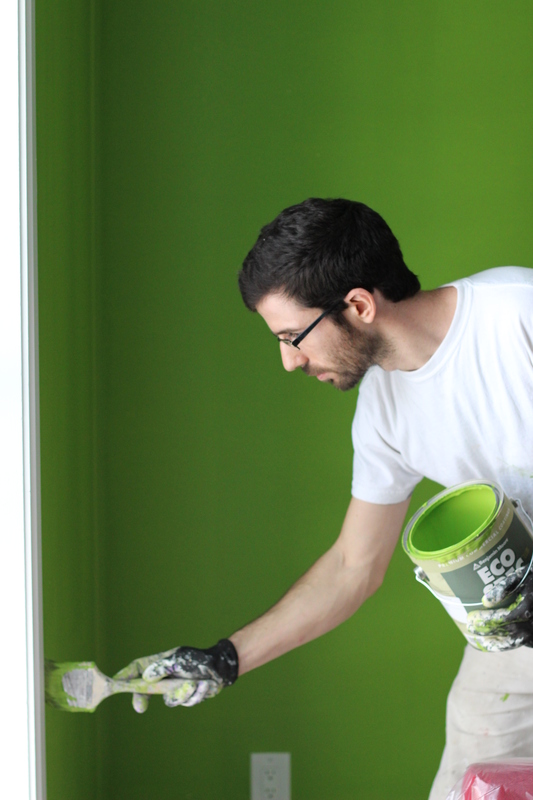 To obtain a free quote for the painting of your office, contact us now!